Report from Arup on child-friendly urban planning; Tim was expert adviser to the project, and author of the report’s foreword. For more see this blog post. Report for Play England that explores the factors that influence the likelihood of success of street play initiatives in disadvantaged areas. It recommends adapting the street play model for housing estates as well as supporting where children spontaneously play already in neighbourhood streets. See this blog post for more on this and two other reports on street play published at the same time. 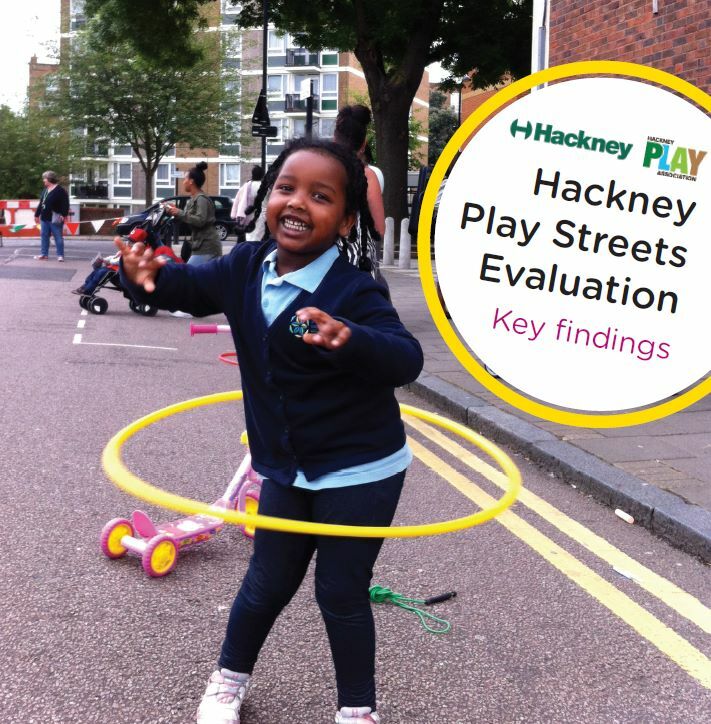 Report for Hackney Council and Hackney Play Association evaluating the outcomes and potential of a Borough-wide programme to promote street play. For more see this blog post. Full report and key findings available to download from this page on Hackney Council’s website. First ever supplementary planning guidance on outdoor play for the Mayor of London. Prepared with EDAW (now part of AECOM). An updated version of this guidance was published in 2012. This kept much of the approach of the original document. Short illustrated paper on the role of play and play facilities in visitor attractions. Written as an internal document for managers of National Trust properties and sites. For more see this blog post. Evaluation report published by London Play. Download the report. Policy paper commissioned by the Bernard van Leer Foundation to inform its Urban95 initiative. Head here for a blog post of mine that introduces the report. Also available in Chinese (both simplified and traditional) from the BvLF website here. Thanks to Christine Lee and Parks & Playgrounds for Parents by Parents in Taiwan for arranging the translation. Co-author with Prof David Ball and Bernard Spiegal. Published by Play Scotland, supported by Play England, Play Wales and Playboard Northern Ireland. Available as a blank document (Word 2003 format) and a worked example (pdf format). More here. Published by the English Outdoor Council in association with the Outdoor Education Advisers’ Panel. Contains supporting statements from Tom Mullarkey OBE, Chief Executive of the Royal Society for the Prevention of Accidents, and Judith Hackitt CBE, former chair of the Health and Safety Executive. “A fine report” David Spiegelhalter, Winton Professor of the Public Understanding of Risk at Cambridge University. “An intelligent and timely publication” British Mountaineering Council. Discussion paper for Children’s Scrapstore that explores conceptual and methodological issues around empirical research on the outcomes and impact of play interventions. Contact Tim to obtain a copy. 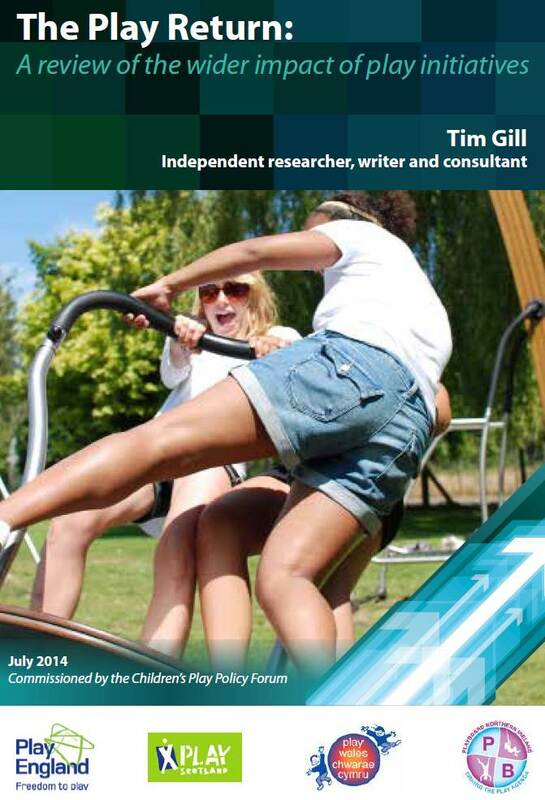 Report on the measurable impact of initiatives to improve play opportunities. Commissioned by the Children’s Play Policy Forum. Summary post here, with a posts on the background to the project here. This report, produced as part of a Facebook campaign on childhood and parenting that Tim helped to shape, argues that children today are missing out on everyday freedoms, and do not have enough opportunities to play, be with friends and enjoy simple childhood pleasures. The report is based on specially-commissioned market research, and includes ideas for parents. Download the Report. Report published by the London Sustainable Development Commission (the body that advises the Mayor of London on sustainability). Sets out a new vision for children’s relationship with nature, and maps out an action plan to reintroduce nature into their lives. The London Evening Standard covered the report’s launch here. An executive summary and literature review have been produced, alongside the full report. This blog post has news of the report’s launch, and this post summarises the findings of the literature review. “An excellent report, which I am already using as a reference document” Professor Fraser Brown, Leeds Beckett University. Final report of a value-based strategic review of the Forestry Commission’s approach to outdoor play. Published by the Forestry Commission. Read a testimonial here. Report published by the National Children’s Bureau. “A timely call to get active, get on your bike and get young people cycling… makes a clear case for encouraging more young people to cycle.” Review in Young People Now magazine. “The appendix on cycle helmets was the most even-handed presentation I have ever seen – a marvel of fairness packed into a very small number of pages.” Jim Tubman, father of four and commuter cyclist, Calgary, Canada.